Host City 2016 conference and exhibition takes place in Glasgow on the 21 and 22nd November 2016, drawing together the owners, organisers, hosts and enablers of sports, business and cultural events. Sarah Lewis, Secretary General of FIS and the Association of Winter Olympic International Federations, is speaking at the conference, the theme of which is “Creating Safe and Engaging Events”. Here she talks about how Host City can help to create safe and engaging event experiences in a competitive world. What do you see as the most important issues facing the events industry today and why? Guaranteeing a safe event is becoming increasingly complex and yet something every organiser must ensure, regardless of the costs and logistics. The market has become so competitive to gain media attention and fan support with such a wide array of different events on offer for consumers to choose from. As far as our FIS sport of Alpine and Cross-Country Skiing, Ski Jumping, Nordic Combined, Freestyle Ski and Snowboard are concerned, today it is not enough for the organisers to simply stage a competition to attract visitors and fans, there must be a complete experience and this is also an excellent opportunity for sponsor engagement. How do you think public perception of Winter Olympic Games changed since Sochi 2014 and what are your expectations of the future for the Games? Leading into the Sochi 2014 Games many of the headlines concerned the huge expenditure that was made for construction, but the reality is that this investment was related to building logistical infrastructure for developing tourism in the area including the roads, railway and airport as well as three ski areas and many hotels. Recently the image of Sochi 2014 suffered another blow with revelations and allegations about corruption and doping that have further damaged the perception of these Games. But the extraordinary performances of the athletes captured the public’s imagination and hearts which is the fundamental mission of the Games. The IOC has taken many steps to address the future of the Games in a proactive manner through measures adopted in Agenda 2020 and specifically for the Winter Edition through an expert working group that has looked into adapting the model to make them more accessible for more candidates. Looking at the number of countries that are presently studying potential bids for 2026, the new model appears to be making steps in achieving this objective. What has been the highlight of 2016 for you so far in the event hosting world? The two major events with the Rio 2016 Olympic Games and European Football Championships have had the biggest global impact and produced many memorable sporting accomplishments. In the winter sport world, back in February the Winter Youth Olympic Games was on a different scale, but it successfully engaged youngsters and uncovered some future champions. The ski and snowsport world is just gearing up for the main winter season and we have many highlights ahead, led by our FIS World Championships in Alpine Skiing (St. Moritz - Switzerland), Nordic Events (Lahti - Finland), Freestyle Ski and Snowboarding (Sierra Nevada - Spain). Before these begin in early February, the FIS World Cups will be in full swing, including Olympic Test Events in PyeongChang, Korea as part of the tours. As a speaker at Host City 2016, what are your expectations of this important event – what do you hope to share and learn? Host City provides a great platform to communicate and promote our sports and events to a knowledgeable audience, and also gain valuable information from other important events. It is particularly interesting to encounter new and different events, who we are not generally meeting up with in the Olympic Movement. 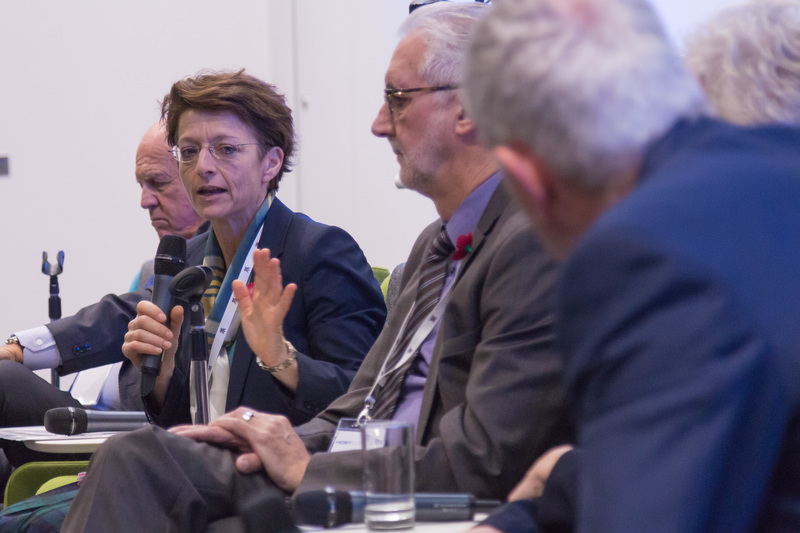 Why is it important for cities, rights holders and their partners to have the opportunity to connect at Host City 2016? Host City offers a convergence of the various stakeholders involved in staging events and it is always helpful to learn of the challenges and opportunities from other angles of event organisation and participation. What can the organisers of sports, business, culture and entertainment events learn from one another? Transfer of knowledge is important in every area of business, but perhaps none more so than the event industry. There is so much experience among those that hosts events, and so many excellent best practices out there, that it can only benefit organisers – and ultimately those that attend the events – to provide the most compelling consumer experience possible. Sarah Lewis, the Secretary General of FIS and the Association of Winter Olympic International Federations, is speaking at Host City 2016. Host City 2016 will take place in Glasgow on 21-22 November 2016. For further information about the Host City, please visit www.hostcity.com or contact Ben Avison, Editorial and Conference Director: ben.avison@hostcity.com. Tweets can be shared using: #HostCity2016.